Unit for Environmental Ethics, University of Stellenbosch, South Africa. Centre for Transport Studies, University of Cape Town, South Africa. footprint of transport continues to grow (City of Cape Town, 2015). Town and assist in shifting the city towards a low carbon urban mobility future. granted systems; and experiences of streets outside of the mundane every day. remain reliant on the city’s substandard public transport system. and as playgrounds (Coetzer, 2004), in part because of limited access to amenities. port, still see the private car as the preferred mode of transportation. cities. This programme, which is called the MyCiti bus in Cape Town, is ambitious. commonplace in government thinking about urban development. multi-level perspective that consists niches, regimes and landscapes (Geels, 2002). impact of the Open Streets movement in Cape Town. how people move around the city’ (Open Streets website, 2015a, np). a conversation piece. before Open Streets could be used as a platform for change. first Open Streets days and generated positive media interest from the outset. (especially for children) which Open Streets Days provide, and a safe, relaxed ‘vibe’. research in low carbon transport. increasing and stubborn contribution of the transport sector to carbon emissions. proven to be expensive due to event regulations in place to offset perceived risks. vehicle ownership and use aspirations. alternative visions of the city. immediate low carbon prospects, and to South Africa’s long term future. wp-content/uploads/MYCITI_IMPLEMENTATION-1.pdf. Accessed 3 March 2016. Cape Town Partnership. (2014). The low carbon central city strategy. http://www. strategy.pdf. Accessed 3 March 2016. City of Cape Town. (2015). Cape Town Energy2040 Vision. https://www.capetown.gov. Energy2040_Vision_pres_2015-09.pdf. Accessed 3 March 2016.
conge. Accessed 17 March 2016. A multi-level perspective and a case-study, Research Policy, 31 (8-9), 1257-1274.
would we know if they were? Research policy, 39(4), 477-485.
perspective. Administrative Sciences, 5(4), 286-300. ITD (2008). Cape Town considers BRT. https://www.itdp.org/cape-town-considers-brt/. Town, South Africa. Environment and Urbanization, 16(2), 101-112.
myciti-faces-r52m-deficit-1834748. Accessed 17 March 2016.
about-us/manifesto-for-open-streets-cape-town. Accessed 3 March 2016. Statistics South Africa. (2014a). National household travel survey Western Cape profile No. Report No. 03-20-02 (2014)). Pretoria: Statistics South Africa. documents/P03202013. Accessed 17 March 2016. 2014. Cape Town: City of Cape Town. 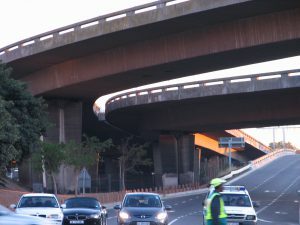 over Cape Town CBD to promote pedestrian safety. November, 22. https://www. promote-pedestrian-safety. Accessed 3 March 2016. Wilkinson, P. (2000). City profile: Cape Town. Cities, 17(3), 195-205.